3 Raptiva forte cap : lycopene+copper+vitamin a+e+c+ beta carrotene+ selenium Scoshia remedy inc.
4 Zovirox cap : ginseg extract 40mg+ ashwagandha+ antioxidants with multivitamin & multimineral cap Scoshia remedy inc.
We have five divisions offering a wide range of products. These divisions are: (1) Uniroyal Biotech, (2) Scoshia Remedy Inc, (3) APX Life Sciences. Our comprehensive and competitive wide range of products as per GMP standards are used in different segments of therapy. 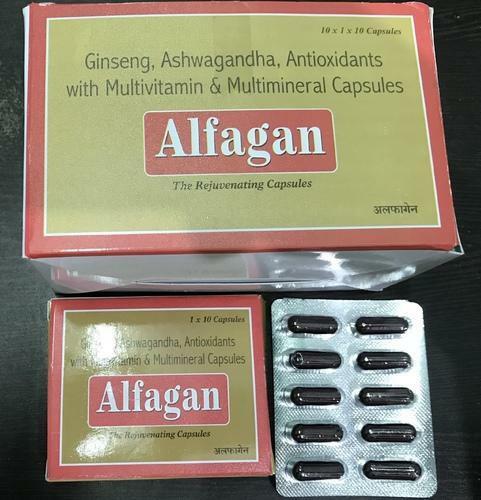 Our company provides medicines for Gynae Care, Ortho Care, Blood Pressure, Cough and Cold, Prostate and Piles, Infertility, Asthma & Bronchitis, Health Tonics, Liver Stimulants. We believe in executing strict quality measure in our formulation process to ensure quality products. (4) The BenzCompany is a speciality division which has a basket of speciality products concentrated on Dermatology, Opthalmic and has a wide range of latest soft gelatin capsules. (5) Uniroyal Herbals - We are a noted manufacturer and exporter of Herbal Syrups, Juices & Cosmetics. Our products array includes Herbal Tablets And Capsules, Herbal Eye and Ear Drops, Herbal Syrups, Herbal Creams, Herbal Juices and Herbal Soaps. Apart from this,we offer Herbal Mouth Care, Herbal Oils, Herbal Powder, Herbal Cosmetics, Herbal Diabetic Capsules and Herbal Antacid Tablets. This whole range of products is formulated with pure and natural ingredients,which are procured from a trustworthy vendor base. Hence, our products are appreciated for hygienic formulation, long shelf life, airtight packing, purity and high effectiveness. Our products are stringently tested on composition, purity and various parameters of quality to ensure that you get only the best quality medicines from us. Our network has expanded at a fast pace during the last three years in all major states of India. We have a committed team of Marketing / Manufacturing / Quality Control / Back Office Staff to take care all your queries / needs. We are deeply committed to alleviate human suffering in the most ethical manner.